48″ Lancaster Single Pedestal Table shown in Cherry with optional claw feet. 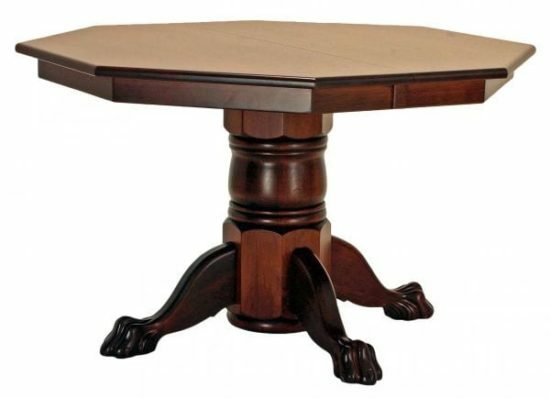 Standard Features: #70 top, 2 1/2″ wide skirting, #100 edge, double equalizer slides, Turned single pedestal, Prince feet. Options: 6″ Tulip pedestal, 8″ Tulip pedestal, 10″ Tulip pedestal. Available in sizes: 36″-60″W x 36″-60″L (6″ increments).